This is a razor that have created a lot of expectation and I can understand why. Long time ago Phil talked to me about his two razor projects : the SE and the "resurrection" of the Darwin razor , and both have seen the light , which are good news for all of us. I must admit that I wasn't particularly thrilled with the Darwin razor project : while it has an "art deco" style , I found it to be very ugly.Yes , you have read right.Ugly. However I did read reviews of people who I trust , regarding how well it shaved and how smooth and efficient it was. My curiosity level was then turned on. And first let me tell you something : this razor look much , but really much better in life than in any picture , or at least any picture that I have taken. It could be that is not shiny , something I have liked a lot.Its design also looks much better in real life than pics. 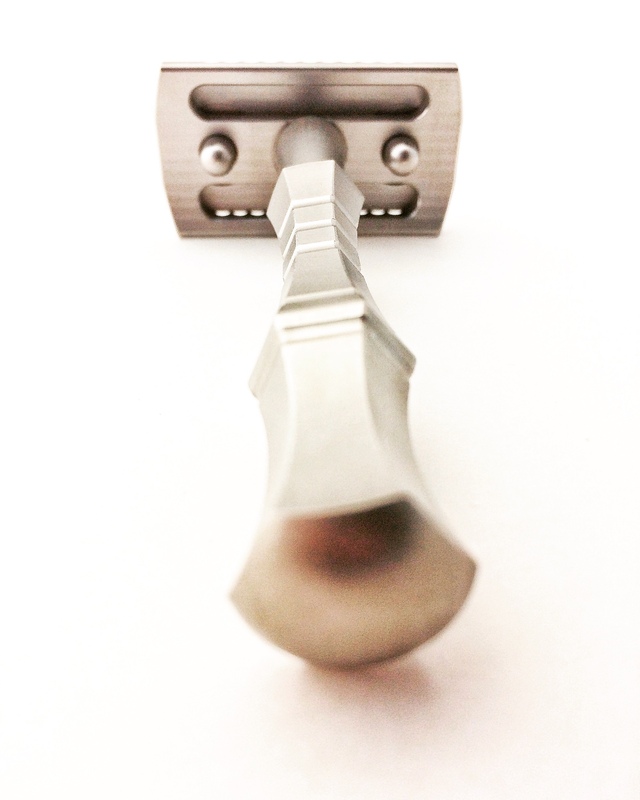 It's a very well balance razor , feels sturdy on the hand , with most of its weight on the closed comb head. I didn't find any blemish or marks on mine , and I will praise is matte finish. 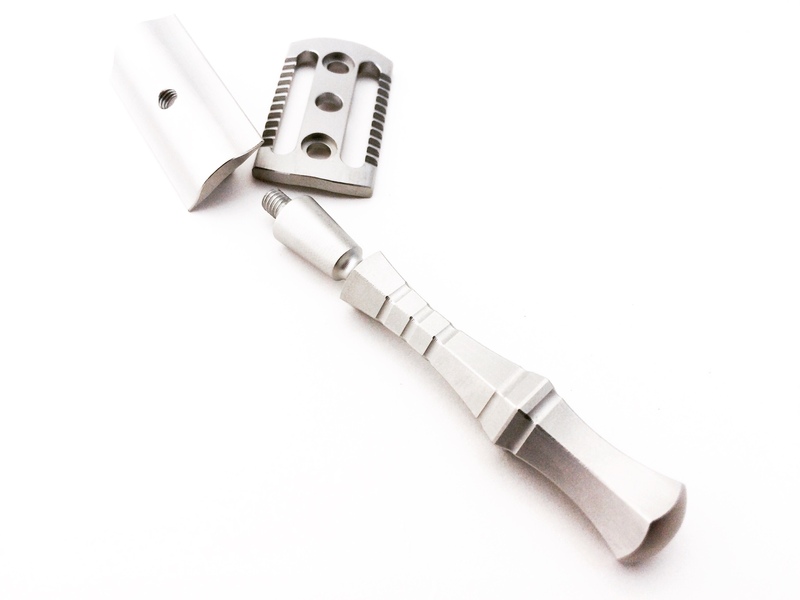 The handle , due to its design , is a pleasure to hold.Yes , is smooth , no knurling on it , but comfortable to hold and no risk of slipping off your fingers. The closed comb head is a two piece one , very easy to load a blade on it , and the alignment is simply perfect.Don't have to do a trick to align it as it should. And I'm sure many of you are wondering how does it shaves ? 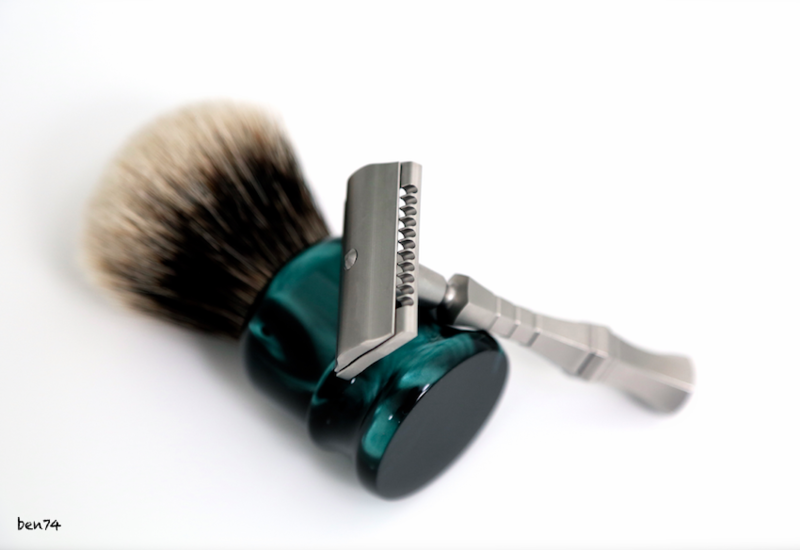 Well , I have tried this razor with a Gillette Silver Blade , Astra Green and Astra Blue. If you shave everyday , this is a razor for you.Not extremely aggressive , not mild.I told some people that if Rockwell would have a 3.5 closed comb head would shave like this : smooth , very smooth but also efficient. I only do two Razor passes these days : North to South and across the grain and I get a perfect shave every time.I don't have to be extremely careful to cut myself.Don't get me wrong , you could if you apply to much pressure , but it's so smooth that the razor , with the proper angle , which is very easy to find , would do the work for you. So I can totally recommend this razor for the everyday shaver , as well as for the ones that shaves every other day.It would reward you with close shaves while respecting your skin. And let me tell you again : it looks much better in real life than in any pic I have taken.Im afraid I haven't done justice to how it really looks like. 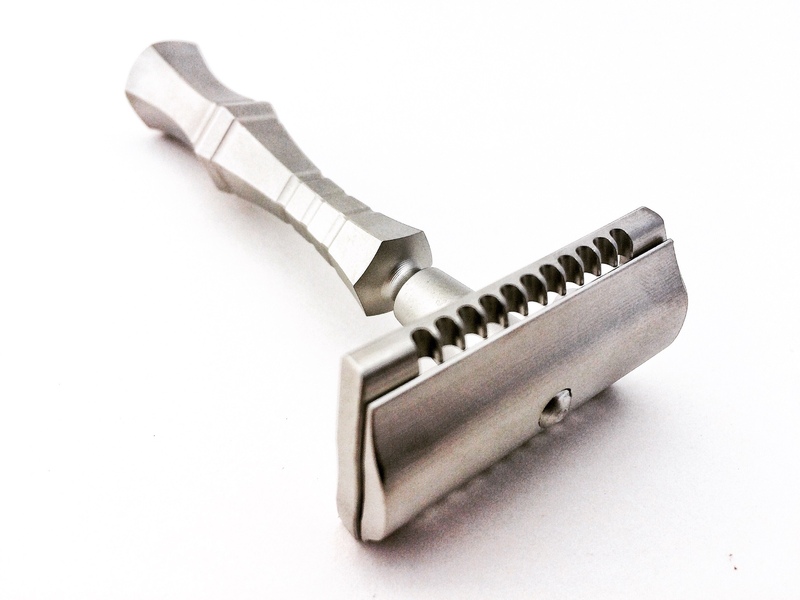 Another great Made in USA stainless steel razor joining the ranks.We are lucky. I agree that Asylum Evolution is a superb razor, both in design and in performance. Very nice review. Interesting razor. Sounds like an awesome shave. Not as aggressive perhaps as it may have seemed? The comparison to the Rockwell is very helpful reading. good review. btw, i like your pics. they are awesome. I concur with you in all, but i wanted to add a couple of things... the windows in the base plate let you see through and therefore know which side of the blade you have been using. i like that, you know, one less thing to worry about. for the same reason she unclogs easily, and does not drown. by that i mean that after you wash it, it will not put water back in your head as a futur does. it drains in a flash. the other thing is that the sound feedback is great. you can hear each and every whisker as they go. i have only used mine with the GSB. they are a good match. Pepe , mi amigo , I concur with what you have pointed. I really enjoy that it doesn't gets clog , no matter how many passes you have done using the same side. And yes , while is smooth , you can hear the blade.As we say in Spanish "es cantarina"
Good points , there ! Well reviewed Teiste! I have enjoyed every Evolution shave so far. It's a wonderful addition to my rotation. Excellent review Teiste. Totally agree with your evaluation. I finished up day 3 still loaded with a Feather. This is one great shaver. Nicely done Tieste, as usual. I may have to invest in one of these, once they're back in stock. A piece of art! Thanks for the review, Tieste, well done. 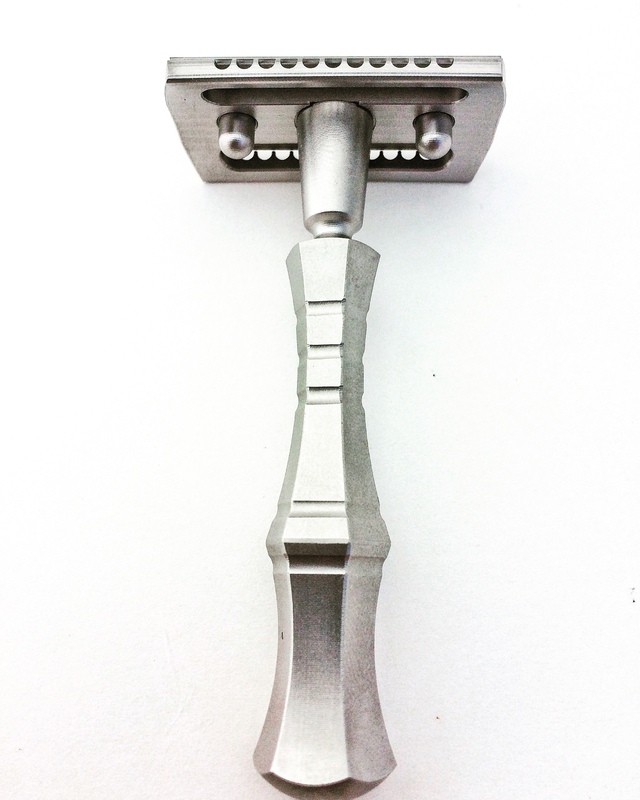 And I agree with you on the Asylum Evolution-a fine shaver and beautiful to look at and hold! Teiste, thank you for your thoughts. Will you, and/or any other Evolution owner please share your opinion of the razor's feel in the hand? My initial impression from photos is that the cornered, angular handle might present a comfort issue. Regarding this concern, does the handle line up with the head the same way each time it is removed and then reattached? Do you find that the corners of the handle "dig" into your fingers? Thank you. I look forward to all replies. (02-24-2017, 09:08 AM)chazt Wrote: Teiste, thank you for your thoughts. I don't have the razor but to your second question, I would say handle and head should line up at the same point everytime unless the number of threads change on either! Now whether the handle orientation to the head is "uniform" (for lack of better words,) that depends on whether the machine shop lined everything up before tapping the bolt on the head and the handle... does that make sense? I don't notice any edges or corners when handling. My fingers rest on the flat surfaces while shaving which are very positive for grip. The Asylum Evo... quite simply an evolutionary triumph! This review has fiercely enabled my RAD. Nice write up Tieste, great photos as well! A beautiful piece of shaving art. From your impressions this is one I'm looking forward to. 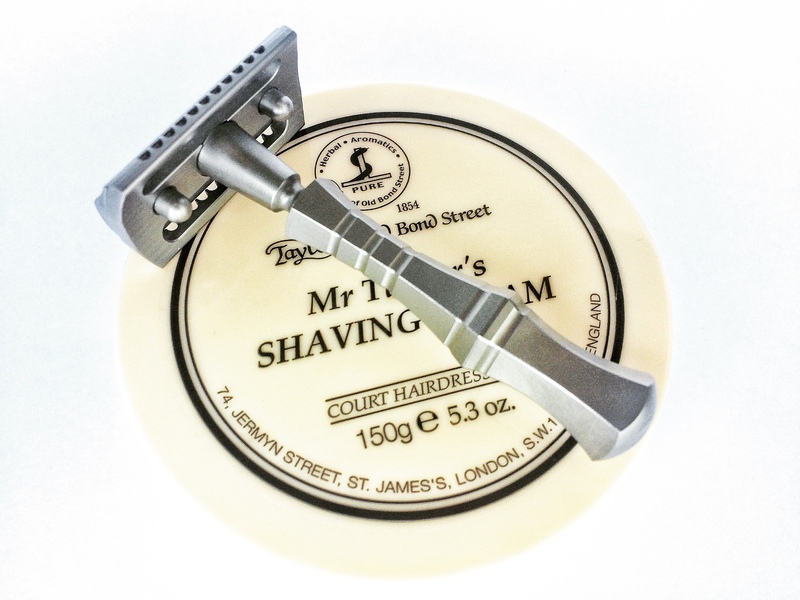 My determination to remain a minimalist, with my one safety razor, is rapidly crumbling.. great review, lovely pics, many thanks. Not sure why the design of this razor speaks to me so strongly -- finding out that it's also a great shaver makes it even that much more attractive. Thanks, Ed. that's the kind of user-based info I'm seeking. (02-25-2017, 04:13 PM)jackgoldman123 Wrote: This review has fiercely enabled my RAD. Jack, this thread is becoming positively carborundum-like!